The University of Oregon (UO) has imposed a campus-wide ban on hoverboards and other types of electronic skateboards effective immediately because of safety concerns regarding these devices. According to the university, numerous fires and injuries related to hoverboard batteries have already been reported around the country. In fact, the U.S. Consumer Product Safety Commission (CPSCC) is currently already investigating more than 40 incidents of hoverboard-related fires in some 20 states caused by poorly manufactured lithium-ion batteries that apparently overheat and combust. 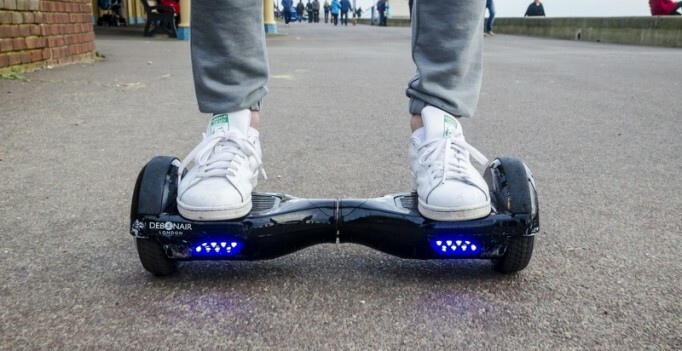 Additionally, aside from the fire hazard, the CPSC is also investigating the increasing number of serious injuries and emergency room visits resulting from falls from hoverboards caused by apparently faulty product designs. UO students living in residence halls who own hoverboards have been advised to put their devices in a temporary storage facility until they can be removed from campus. They were told to drain and remove the battery before placing it in the storage facility. The university said it will provide a secure storage area that has been approved by the fire marshal as a holding facility. With the imposition of the ban, UO joins over 30 universities and colleges in the United States that have already either prohibited or restricted hoverboards on their campuses withi the last few weeks. Aside from on these schools, hoverboards are also banned on board the three largest U.S. airlines. These devices are also not allowed on the streets of New York City. Even in the pro leagues, the Carolina Panthers of the NFL and the Cleveland Cavaliers of NBA now no longer allow hoverboards within their home arenas. In announcing the ban on hoverboards, the UO said it is acting to protect the campus community while a solution to the problems is still being sought. The ban applies to all university-owned buildings, including athletic facilities, not only at the Eugne main campus but also to those in Portland and Charleston. 24,125 enrolled students. UO has 18 athletic teams, collectively called the Ducks, that compete in the NCAA’s Pac-12 Conference. The varsity colors are Green and Yellow. The university mascot is The Oregon Duck, also known as the Fighting Duck.